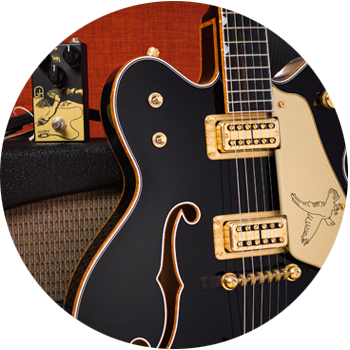 Gretsch guitars are known for "That Great Gretsch Sound" – twang, rockabilly, southern rock, and much more. 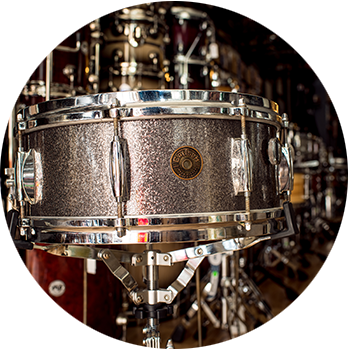 Gretsch has been making guitars and other musical instruments for over a century. The popularity of Gretsch guitars grew especially during the 50s and 60s with the explosion of rock 'n' roll and rockabilly music. 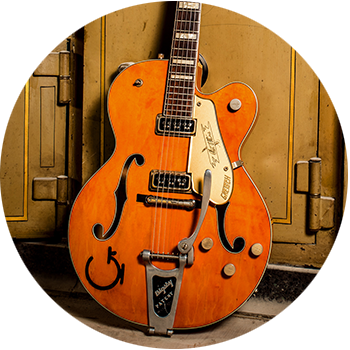 Gretsch guitars have attracted many famous endorsers including George Harrison, Bo Diddley, and Chet Atkins. 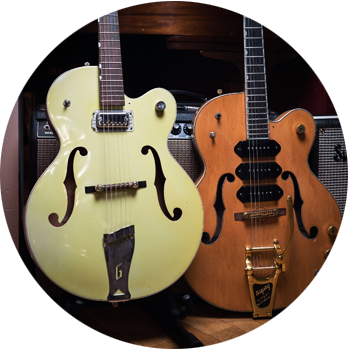 The Gretsch Chet Atkins, Country Gentleman and the Gretsch Falcons are a few of the popular Gretsch guitar models.  Chicago Music Exchange has an incredible selection of new, vintage, and used Gretsch guitars.